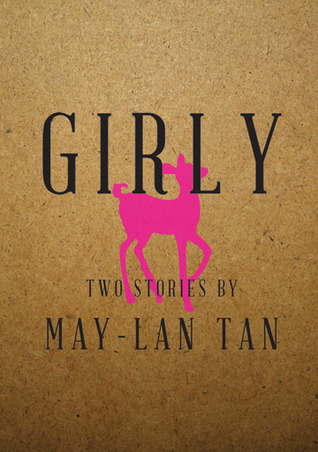 I cannot for the life of me remember where I saw pictures of May-Lan Tan’s Girly, a chapbook of two short stories Pacific and Little Sister, but I think it might have been Instagram (how modern) and just from the cover I knew it was something I wanted to try. Yes, even though I already owned Things to Make and Break, the magpie that lives in my head wanted something new, shiny and also rare as Girly is a limited edition of print runs – I think. So order it I did and a couple of weeks later it arrived from the U S of A, was it worth the wait? Girly is aptly made up of two short stories that depict the life of two very different girls as they head into womanhood and also into independence, in two variants of the word. The first of the stories Pacific tell the tale of a young woman who has somehow ended up on the opposite side of the world, stuck in motels with an on/off ex who seems to come and go on a whim. As the story unfolds we learn through various flash backs how this girl has ended up so far away from home and in the predicament she is in. After a while, it will all look the same. You’ll wonder if you’re on an elevator that keeps stopping at the same floor. Perhaps there is only one motel, one gas station, one diner, and the extras are putting on false moustaches and changing their hair. Sometimes you’ll think of your house at home. Your princess and the pea bed. The sound of the wok spitting oil, and your desk drawer crammed full of poems. Imagine your parents sitting on the sofa under the painting of flame trees, wondering where you are. Be too scared to call. Little Sister tells of a young woman having her first period at school, how she copes with it and also how those around her deal with it. Yet it is also has the additional layers of sisterhood (be it with those of you who are in the same family and those who aren’t and perform sisterly acts) and, as it goes on, gives you an insight into the lives of some of the women in society. 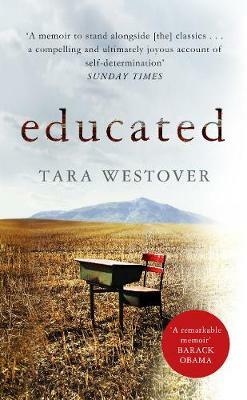 It has a wonderful concoction of just the right amount of humour and poignancy. When I pull my pants up, it feels like I’m straddling an air mattress. I think of all the people who already have it. Teacher Willow and Head Teacher Pear and Miss Hong Kong and Jennifer Aniston and the white-gloved girl who presses the lift buttons in Sogo. They must be so angry. Whilst both the stories are about two girls coming of age, they couldn’t be more different both in terms of their settings and their structure. On one hand we have the campus tale of America, given the spin of being seen through an outsider’s eyes and on the other we have one set in modern Hong Kong. It is very rare that in just two stories you can you’re in the hands of an incredible talent and one who likes to experiment with form and play with prose and language, Tan does this seemingly effortlessly with Girly. Pacific is written in two very clever ways. Firstly there is the way in which Tan weaves the present and various points in the past playing (nicely) with us as the readers as to how our protagonist is in the situation she is. It is also written in the style of a ‘How To…’ manual (with headings like How to Burn, How to Move, Death by Drive-Thru) and a self help guide, only one that is being written whilst its author learns the hard way. Little Sister seems more straight forward and yet as you read on there is both a slight magical and fairytale like element as well as a rawness as it moves on and a certain bittersweet tone as it leads to its conclusion. In both instances Tan creates characters personalities through the smallest of things. It could be that a character has an eraser the shape of a hamburger or that one writes stories about Vietnamese vets, whatever the case Tan uses a few words to create so much and so within paragraphs you are in these girls lives, warts and all. Both stories are brilliant and I could have read more of. Needless to say, if you fancy a book that is both different in terms of its contents and its very physicality then I would heartily recommend you order yourself a copy of Girly pronto. There is something quite special about Tan’s writing both in how it tells you a story, the hidden depths they have and also what they leave out for the reader to make up themselves. I am really looking forward to reading Things to Make and Do over the summer when I am planning on having something of a short story binge, as with authors like Tan I am becoming a huge fan of the form. Great stuff! If you would like to order a copy of Girly before they all sell out then you can head here to Future Tense Books. In a random aside I was at Literary Death Match in London back in April (a while after I read these stories for the first time, I have returned since) and guess who ended sitting next to me? May-Lan Tan! She recognised me from Twitter and between author’s reading and judges judging’s we had a lovely natter; so talented and lovely a double win!